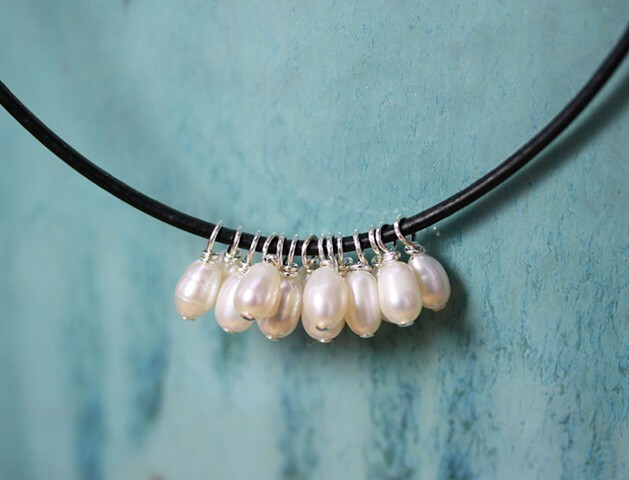 This necklace features 15 fresh water pearl charms clustered on black leather cord. Sterling lobster claw with 2 inch sterling chain extender. Approx 16 3/4-18 3/4" long.